Elon Musk thinking about letting someone else run Tesla, California and Trump are being cordial over emissions, GM has a big recall, and more await you in The Morning Shift for Thursday, Sept. 14, 2018. Every time in recent weeks that I’ve felt like Tesla is about to settle down and find its groove, something else happens, and much of that—at least as of late—has to do with CEO Elon Musk’s shoot-very-from-the-hip style. He’s also splitting time between a million other companies, which sure seems like it could be busy. Nonetheless, he’s adamant: he must be at Tesla working nonstop. (Cutting back work hours isn’t an option, Musk said last month. But now—after sparking a SEC probe over a haphazard tweet and smoking weed with Joe Rogan—he’s showing signs that he might welcome in someone else into the fold to run Tesla, reports Reuters. Best of luck to whomever assumes this role, that is, if Musk lets it happen. 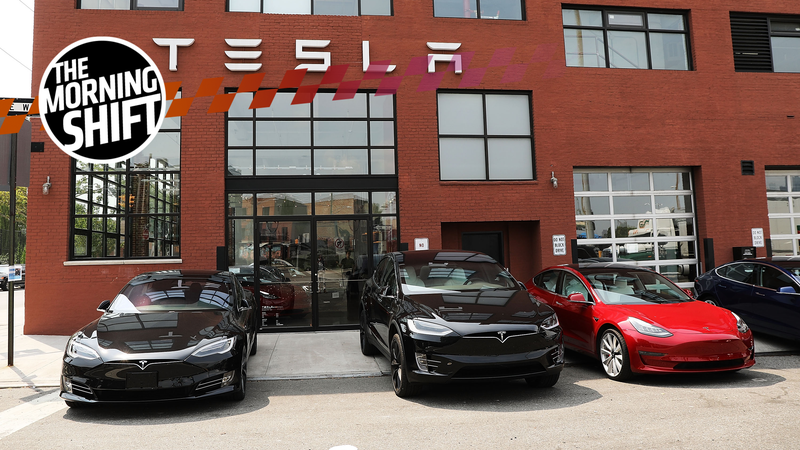 At any rate, Musk logged on Wednesday to inform everyone that his number one priority right now is to deal with a backlog of customer issues, which is apparently a problem due to an uptick in “vehicle delivery volume” in North America. Musk’s twitter is a customer hotline now. California is bracing for a legal battle with President Donald Trump’s administration over the possible revocation of the state’s waiver to set its own standards for tailpipe emissions. But for now, California officials suggest they’ve been “comforted” by Trump’s team, reports Bloomberg, which is worth underscoring given we’re talking about Trump’s team. Trump officials have told the state they’re just seeking public comment on the possibility of challenging the California’s power to write emissions standards that in some cases are tougher than the federal government’s, Mary Nichols, the chair of the California Air Resources Board, said Tuesday in San Francisco. Automakers have said privately and publicly that they don’t want Trump to provoke an extended court fight with California and they won’t urge the administration to take such a step, Nichols said in a briefing with reporters. These are arguments that mean a lot to lawyers, she said. “We are comforted by the fact that we don’t think this is a fight that’s actually going to happen,” Nichols said. Chinese-backed electric car startup NIO went public and started selling shares on the New York Stock Exchange this week, which doesn’t mean much for you, only that you now know NIO is raising money this way. Shares of Chinese electric carmaker NIO Inc (NIO.N) recovered sharply from a 15 percent fall in their market debut on Wednesday, a day after the company’s IPO was priced at the lower end of the expected range. I really want to test out NIO’s ES8. Imagine a world where no recalls exist. OK, now come back to reality: GM just issued a recall for more than a million pickup trucks and SUVs because the power-assisted steering “can briefly shut down,” reports the Associated Press. The update will come at no cost to owners, the AP notes, and no date has been set yet for the recall to begin. Everybody now: Get your recalls fixed. Reverse: Did You Get a Car? NIO’s labeled the latest so-called Tesla killer, but it actually has a vehicle it’s already delivering and it’s got some funding to boot. What do you think about NIO? Think it’ll survive?